The annual State-level painting competition on energy conservation, organised by the National Thermal Power Corporation, will be held for students of Telangana region on November 14, on the occasion of Children’s Day. It will be held in two categories i.e., for students from Classes IV, V and VI will be in Group A and Classes VII, VIII, IX and X will be in Group B. The event will be held in association with the Bureau of Energy Efficiency, Ministry of Power, Government of India. 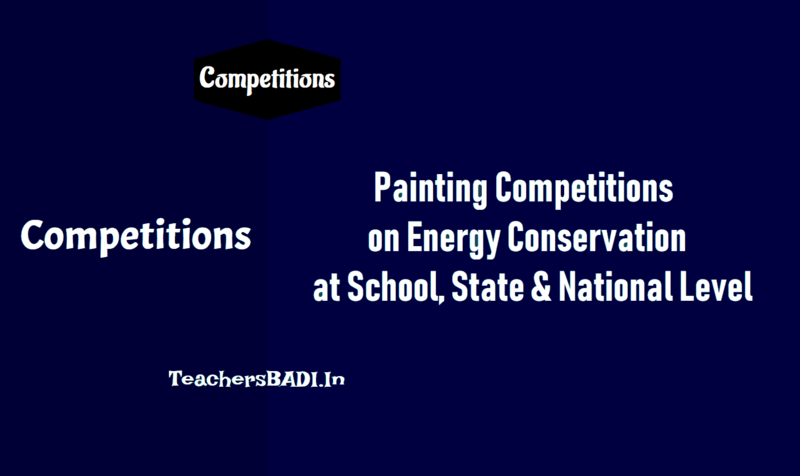 It is a three-level competition at schools, State and nation level. The school-level competition will be wrapped by October 10. The top best 50 entries from all schools from each group will be called for the State-level competition on November 14, here in the city. For more information, contact Praveen Kumar on 9440918332,VSV Ramakrishna on 08332995366 or send e-mail toecpcntpc@gmail.com. 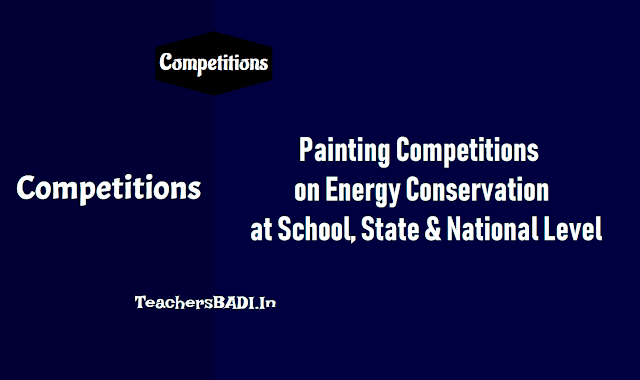 National Energy Conservation Awards & Paintings Competition 2018: The National Energy Conservation Awards are presented to industry and other establishments and prizes to the winners of the annual Painting Competition on Energy Conservation for school children every year by the Ministry of Power with the objective of promoting energy conservation among all sectors of economy.